But picking out a good value small car from the ocean of used vehicles on forecourts and in classified listings is a tricky task, with ex-driving school vehicles, dodgy mechanicals and a massive range of prices. 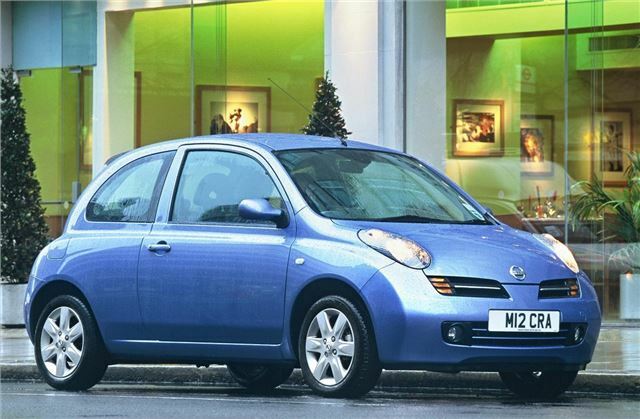 So if you’re on a mission to buy a second hand small car, read on. We’ve done some of the hard work on your behalf. First of all, something for those of you on a seriously tight budget – the sub-£500 market is always tremendously risky, and no matter how much homework you do there is always a good chance that you’re buying problems when you spend this little. But even so, people often search around for cars in this price bracket, particularly new drivers. But, fret not. Here’s a Ford Fiesta 1.25. It’s getting on a bit, at 14 years old, but it looks reasonable, has covered a fairly low 61,000 miles and is taxed and tested. It also has a few creature comforts, namely electric windows, a sunroof and central locking. And, being a Ford, parts are relatively inexpensive, so when it does go squiffy it’s not going to cost too much to put right... Hopefully. Yours for £495. It’s always wise to spend a bit more if you can afford it, though. And if you have a little bit more then why not buy a Micra? £3,000 gets you this 2004 1.2-litre S with 41,000 miles on the clock. Remote central locking, CD-player and reasonable levels of safety equipment make it a sensible choice. It even has a cute face. On top of that, you can expect about 45mpg and cheap insurance costs. Nissan has a good reputation for reliability, too, so it should be a wise buy. Obviously you don’t need to pay so much if you want a ‘bubble’ Micra like this, there are plenty of older, cheaper ones on the market, but this example looks straight and has low mileage. Moving up the market it gets easier to pick and choose what you want in terms of equipment, age, engine size and everything else you can think of, but with more choice comes more confusion. However, with a budget of £6,000 you’d be hard pressed to find a better small car than a Hyundai i10. This is a 2008 08-reg in Classic trim, and comes with electric mirrors, electric windows and air conditioning. You also get the benefit of cheap insurance and an annual road tax bill of just £30. It’s all the car most people need, and since its launch in 2008 we’ve heard good things from owners, with generally positive owners reviews. Finally, for fans of the very, very weird, there’s the Ligier Ambra. In an era of constant growth, with small cars no longer small when compared to their ancestors, the Ambra is genuinely miniscule. Strictly speaking, though, it’s not a car, it’s a quadricycle. That means it has to adhere to various rules on weight and power, but doesn’t need to go through stringent EC safety tests, although the Ambra, somehow, managed to pass a crash test. It didn't excel, though, so don't get excited. There are only two seats, but that's to be expected in a car that can be parked end-on to the curb, should you dare to challenge the authority of the parking attendant. Whether you’re looking for something as abstract as a Ligier Ambra or as everyday as a Ford Fiesta, our deals section will have a something to suit your needs, whether big or small, old or new.